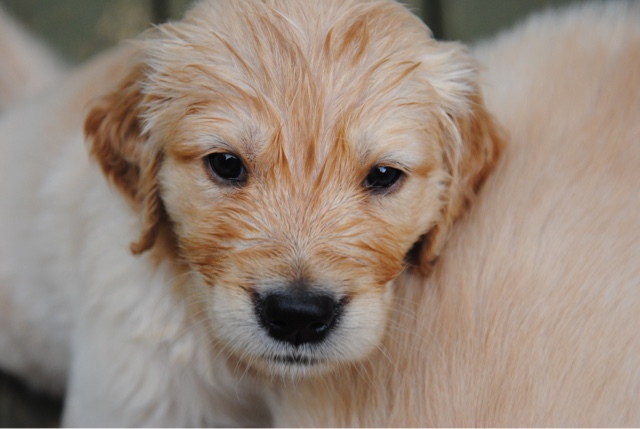 This has been a very, very busy week for the puppies. 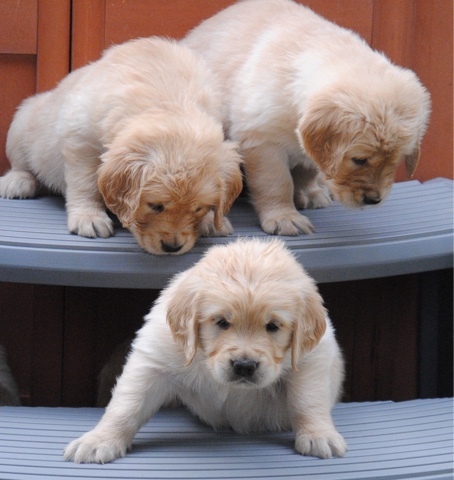 They're getting very big, very cute and very, very active. 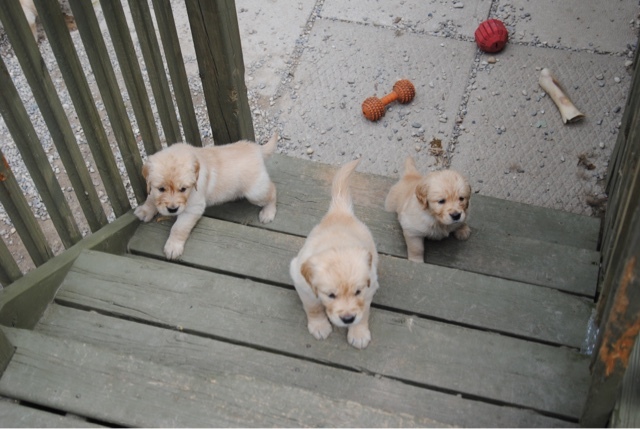 They have spent a bunch of time out on the deck and today learned about climbing down the steps to the bigger part of the yard. Personalities are starting to emerge and it's very fun watching who's who. 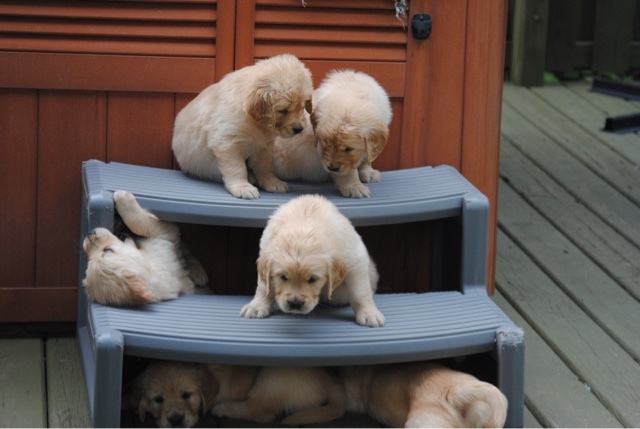 How many puppies fit in the hot tub stairs? All of them! 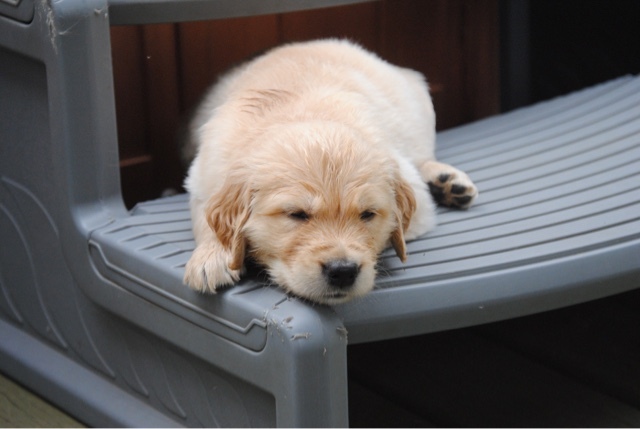 I can even sleep on the step (even though my bum isn't on the step)...that can't be comfy!